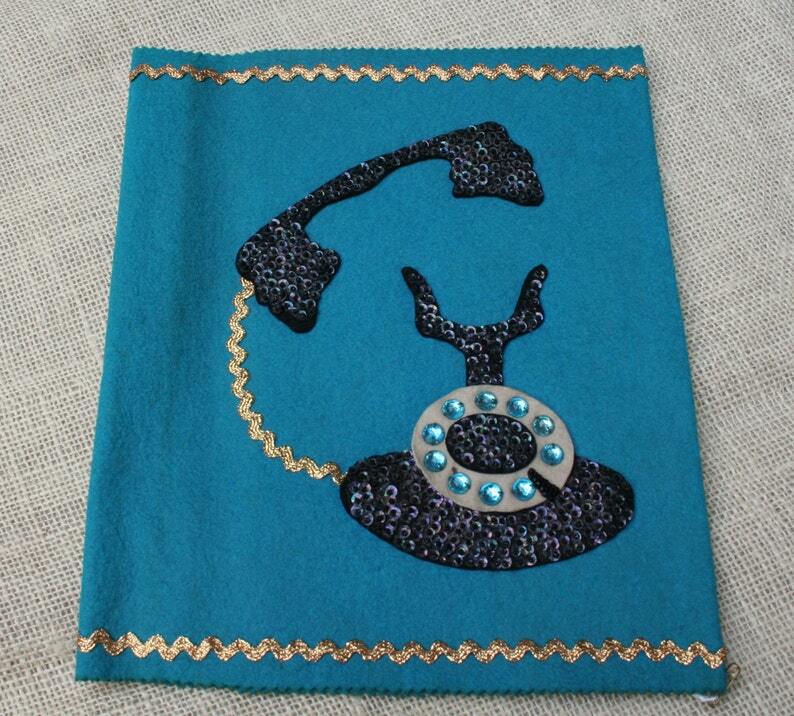 Here is a really retro cool felt phone book cover. It's so adorable it will become an instant treasure in your house! It is made of peacock blue felt and the front is decorated with a huge sequined rotary phone with big turquoise rhinestones for the numbers on the phone. There is metallic gold rick rack on the front as the phone cord and as trim along the edges. Of course these days people rarely have phone books, but it would fit other large books too. It measures approximately 12 by 10 inches when completely flat. I believe it would hold a book that is about 8 3/4 inches wide by 10 1/2 inches tall by 2 1/4 inches thick. It is in excellent as found condition. 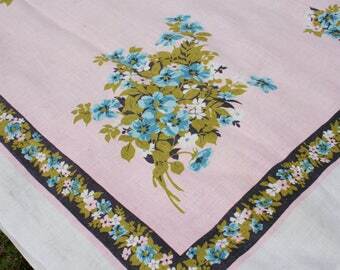 It has a little bit of fading, but no stains or big problems.